Ako Marama aims to ask us to think carefully about the course of our lives and acknowledge the important contributions that people make in shaping who we are or will become. It is hoped that the necklace will bring a positive outlook and goodwill to those it comes into contact with. Ako Marama has been created to recognise the significant influence of a mentor, Marty Vreede, on its maker. After time with Ako Marama, Marty will leave a trace on the necklace. He will then bestow the necklace on someone who he thinks has played an important role in his life. 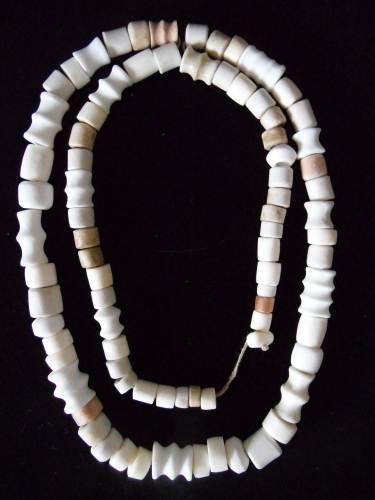 Subsequent recipients will continue to alter Ako Marama and pass the necklace on until its appearance has completely changed.